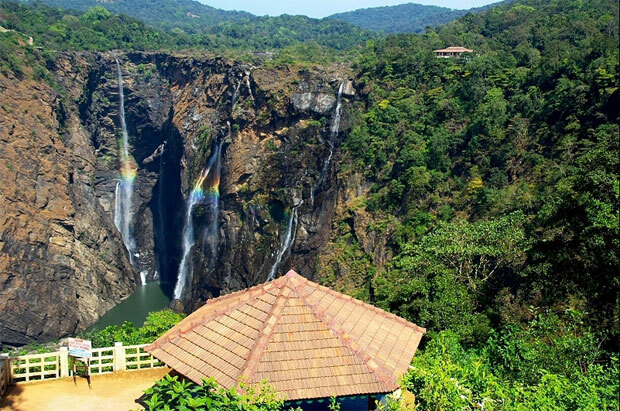 Jog Fall located at southern state of Karnataka is India's highest waterfall. Its height is 830 feet and is located on Sharavati River. 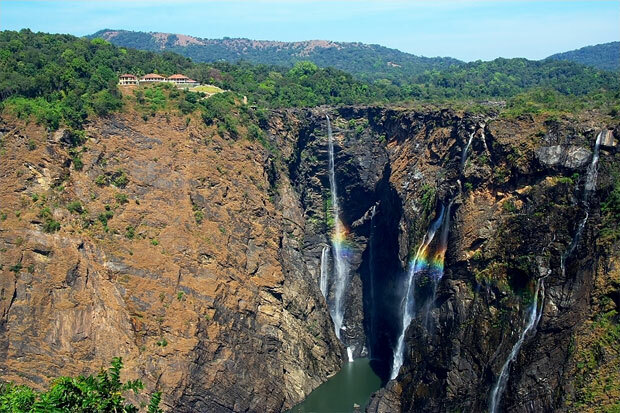 The falls are in four distinct cascades called as, Raja, Rani, Roarer and Rocket. There is an hydro electric power generating station name after Mahatma Gandhi. We started from Mysore at 2.30 PM and reached Shimoga at 9.30 PM ( same day ). We stayed that night at a hotel near the bus stop and next day we took a local bus to Sagar at 9 AM. Buses runs frequently between Shimoga and Sagar but you are lucky if get a direct one to Jog fall. Shimoga to Sagar it took 2 hours and we board another local bus at Sagar and finally reached Jog fall at 12.15 PM. 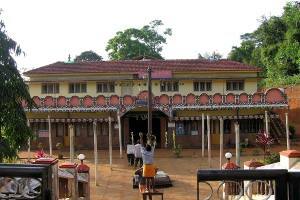 While returning we got a direct bus from Jog fall to Shimoga and we reached our hotel at 6.30 PM. So you can get a better idea about the stay and journey as we stared at 9 AM from our hotel at Shimoga and returned to hotel at 6.30 PM after enjoying 3 hours at the fall. 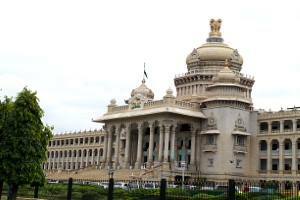 On our return trip to Bangalore we board one deluxe bus at 11.30 PM and reached Bangalore in the early morning 6.30 A.M ( 7 hours ). There is one train root near to Shimoga( Nearest railway station to visit Jogfall is Thalaguppa ( not a broad gauge station ) and it is an end station for the Shimoga district.) but I found road transport is better. If you have any other experience or wants to know some other details. Use the forum to discuss with others. Backwater of this river Sharavathi forms so many small islands. There is no way to reach these islands. Best time to visit to see water falls is when sufficient water is available in the river. Usually from June to September is the best time as monsoon remains active during this time of the year. 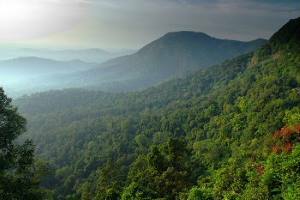 This place is almost resides in the border of Western ghats of mountain ranges. Afternoon is the best time to watch the fall as sunlight will directly fall on the water fall. There are viewing points to see and enjoy the water fall. 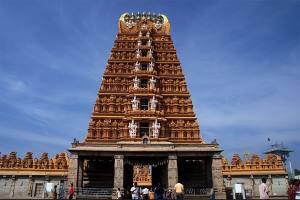 Visit the Shimoga home page to get the details of other visiting places and distances in Shimoga district of Karnataka state. I enjoyed jog falls trip with my friends. 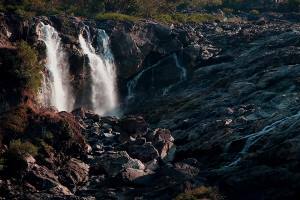 What is the best natural site near bangalore? can anyone give this bit of information? 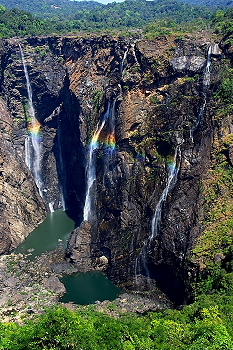 I visited jog falls in June 2009, and i enjoyed there with my friends. But i wll suggest you to visit only in between August - November months. I regularly goes to Hanuman Ghundi falls, which is located in Kudremukha forrest 40 kms from Karkala. Good locations for photography, trekking & swimming, and very safe place to tavel also. Really Horrible view from the top. I and my friends really enjoyed it. 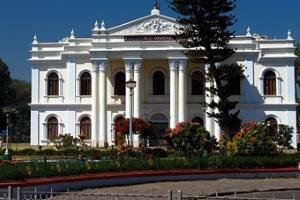 HI AM FROM KARWAR KARNATAKA. I VISITED JOG FALLS NEARLY MANY TIMES. SHOULD ONLY VISIT IN JUNE TO SEPTEMBER ONLY IN RAINY SEASONS HERE AND ONCE AGAIN VISIT JOG FALLS AND FEEL THE TOUCH IN UR LIFE. Recently I visited jog-fall. its beautiful,i enjoyed with my family. i recently in aug 2011 visit to jog fall& murudeshwar. it is so beautiful . nice moment in my life. i recently travelled in aug 2011 visit to jog fall& murudeshwar. it is so beautiful . nice moment in my life. I have visited this place twice. Most Kannada TV channels give an information when it in its full glory during monsoon. 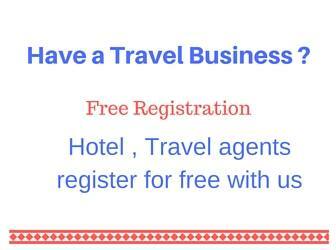 That is the best time to visit and enjoy. we were going in rainy seasone. we are realy enjoy there. After 15 June, Is it would be good to visit Jog falls?? And Is there local taxi's runs?